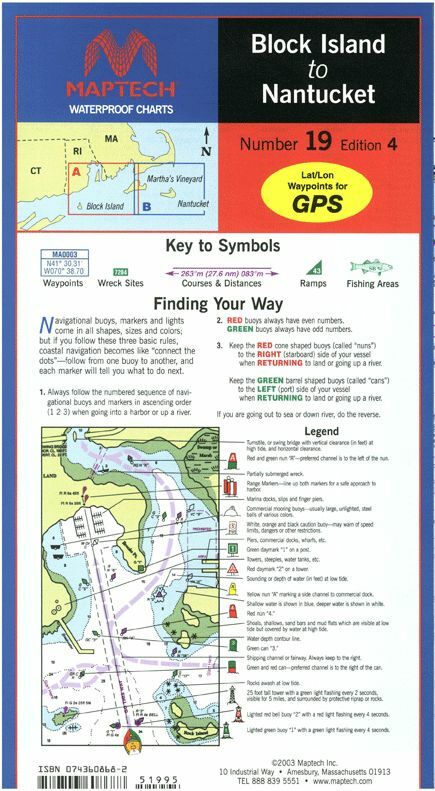 Block Island and Point Judith, RI to Nantucket, MA. 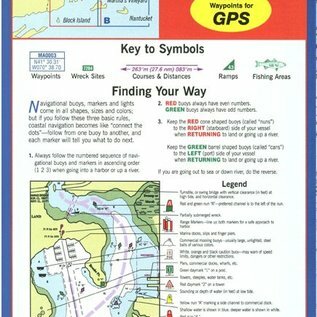 Featuring waypoints for major buoys, courses and distances, 63 wreck sites, and ramp locations and information. 24" x 36", scale 1:106,666 with insets.